Proposal for a time-based installation. Sectional Model, 1/4" = 1'-0"
The design of a pavilion for an ice sculpture expresses the temporary nature of the ice by using the amount of light in the enclosure as a marker of time. 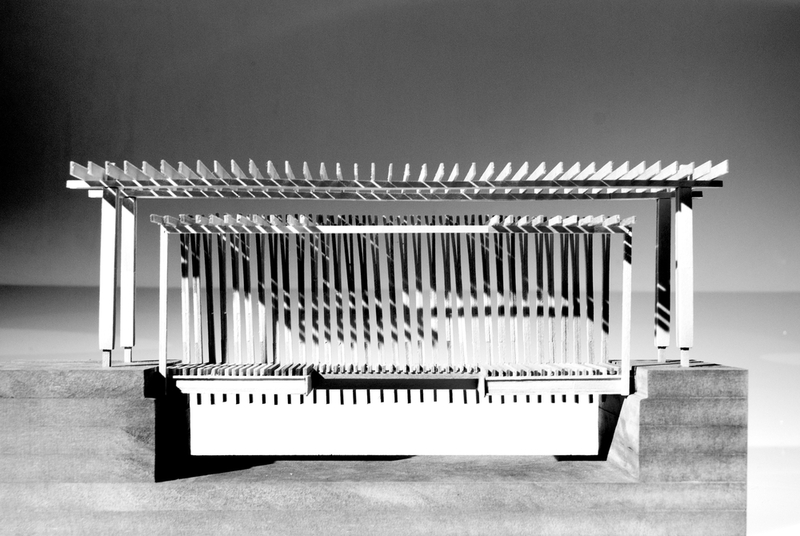 Joints between the pavilion and its base, points of entry (for the sculpture and visitors), light, ventilation, and drainage were were considered throughout the design process. The pavilion presents itself as an object suspended over a basin. The temporary nature of the ice is expressed at points of visual and physical tension in the construction. 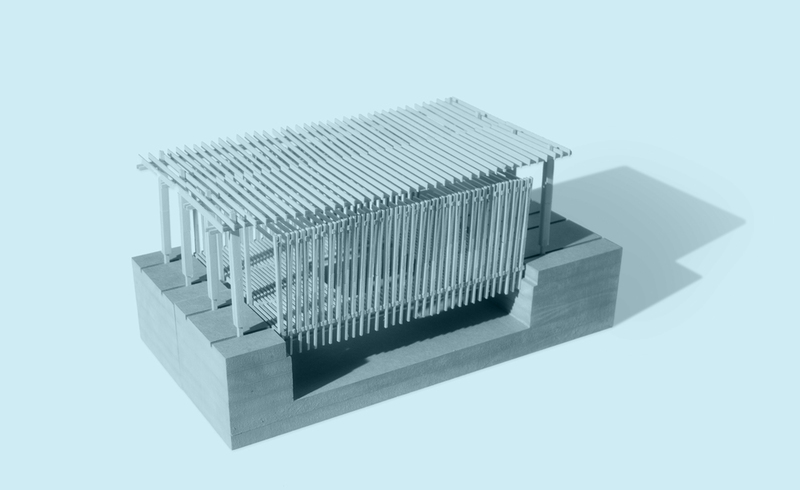 The sculpture rests on a platform that is tensioned on springs from the secondary roof structure. This secondary roof is structurally independent of the enclosure. A hole punched through the enclosure’s floor allows light to penetrate the enclosure and frames the sculpture. As the ice melts and the sculpture loses weight, the springs contract and the platform ascends into the enclosure, limiting the amount of light that enters. When the sculpture is melted, the enclosure is dark.